Head of the LIFE Programme at the European Commission, Mr Angelo Salsi, visited Slovenia on 26th and 27th of November. 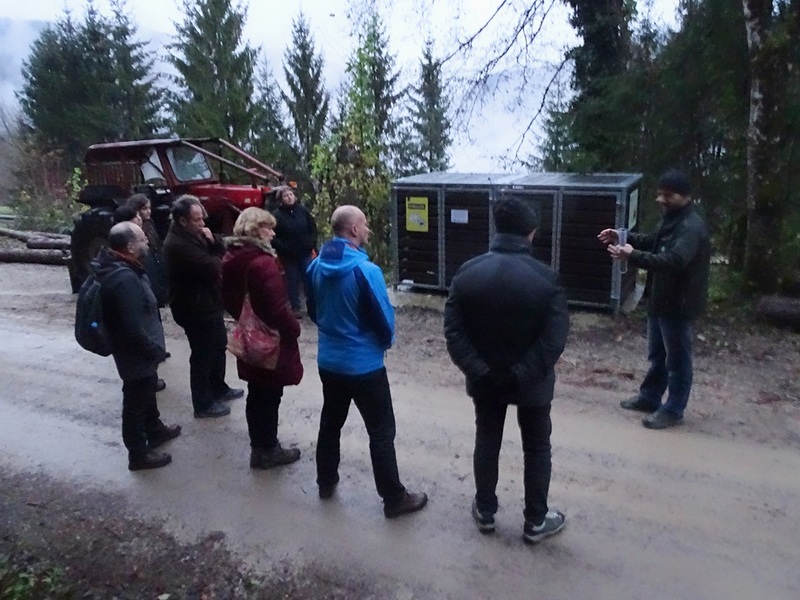 The visit was organized by the Ministry of the Environment and Spatial Planning of Rep. Slovenia. Mr. Salsi visited some of the most interesting and successful LIFE projects currently taking place in Slovenia, including the LIFE DINALP BEAR project. We introduced him some of our field activities: dynamic traffic signs that reduce traffic related mortality of bears and other animals, and bear-proof garbage containers and compost bins, which help to reduce the occurrence of bears near settlements. Mr. Salsi recognized our work as a very important contribution to better management of bears in this area and wished us a successful continuation of our efforts.